Lau Siu-lai had just turned 40 when she won her first ever election. A university lecturer, she went onto the streets during the Umbrella Movement to teach politics and public policy – and she emerged from it a rising self-determination advocate who, along with other post-occupy darlings, went on to win a seat at the Legislative Council on September 4, 2016. But her triumph would be short-lived. 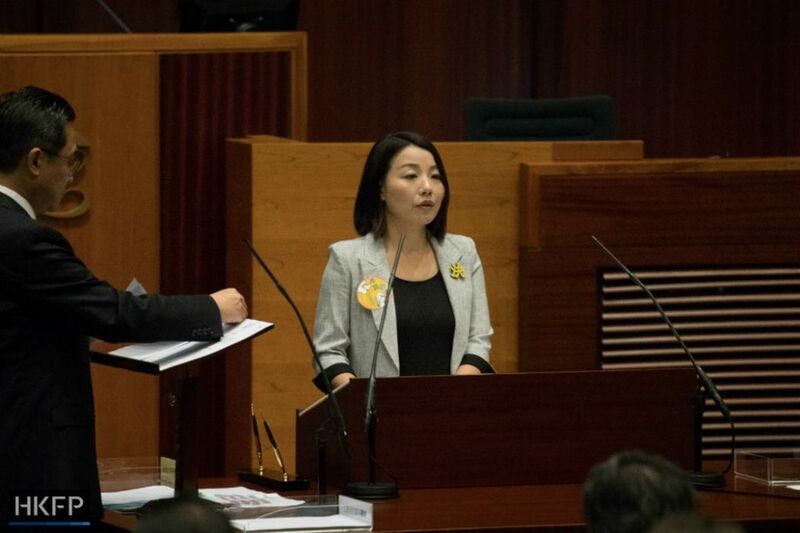 Barely a month later, Lau staged a protest when she took her oath of office, and the Hong Kong government latched onto it as a reason to disqualify her from the legislature. The government said it was only enforcing the law, but Lau described it as political suppression. Lau Siu-lai. Photo: Jennifer Creery/HKFP. Now her seat is vacant, and many have their eyes set on it. The pro-establishment camp wants to consolidate their majority, and the pro-democracy camp is desperate to recover lost territory. For Lau, it is perhaps her best and last chance at redemption – but can she pull off another upset victory in today’s political climate? 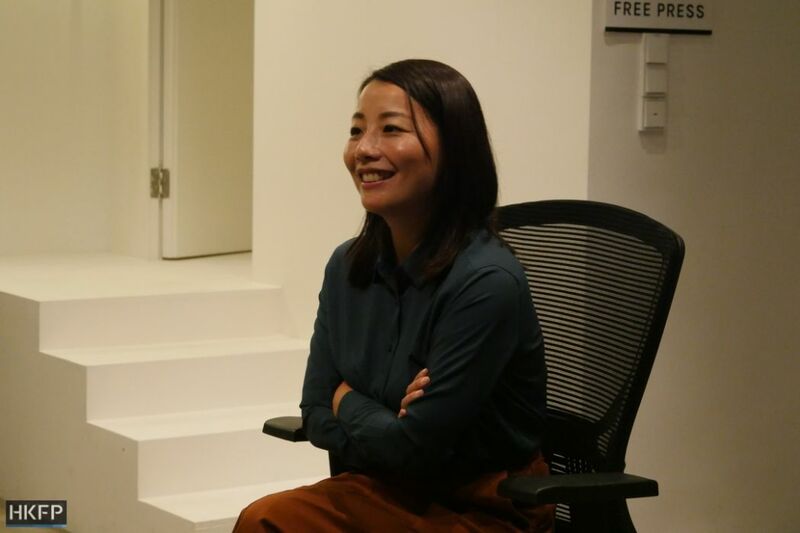 Days before announcing her decision to run again, Lau spoke to HKFP in a wide-ranging interview about her hopes and fears, ambitions and regrets. Ever since her Umbrella Movement days Lau was given the nickname “Teacher Siu-lai,” and one can see why it caught on. Arguably, she has had more success as a teacher than as a lawmaker: her former students described her as affectionate and easygoing, while the Hong Kong political establishment was far less interested in taking her classes. Lau said she never expected to enter professional politics. In the 1980s, she grew up in a family of six in a Kennedy Town subdivided flat, and as a young adult she chose academia. After graduating from the Chinese University of Hong Kong, she stayed there for a master’s degree and then a PhD in sociology. She worked as a university tutor for almost ten years. All that began to change in 2013 when the Kwai Tsing Container Terminal dock strike took place. “I felt society had become different. Before I devoted myself to activism, I felt that the grassroots were poor, but labour protection for them was not that bad. The dock strike showed me that the outsourcing system eroded a lot of safeguards, not just in terms of pay, but also in terms of the lack of security,” she said. A protest site at the heat of the dock strikes shows tycoon Li Ka-shing’s face stylised as a demon. Photo: Wikicommons. Lau also cited the attack on former chief editor of Ming Pao Kevin Lau Chun-to as a tipping point. But there was a still more personal reason. 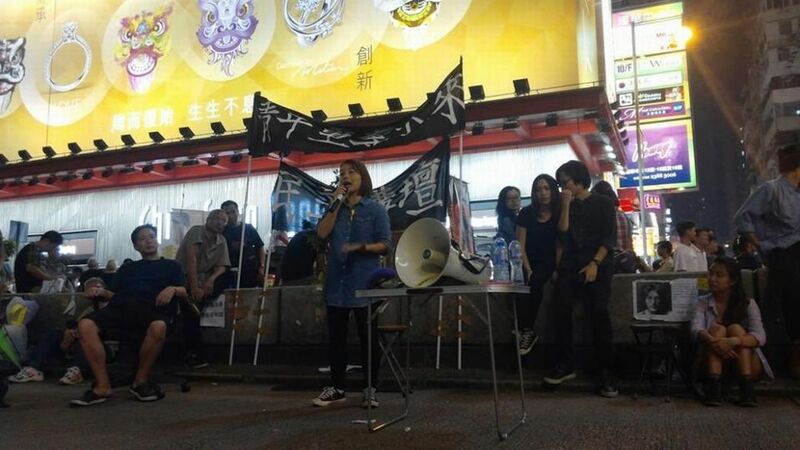 Lau speaking at Occupy Mong Kok in October 2014. Photo: Democracy Groundwork Facebook. By Lau’s count, Democracy Groundwork had hosted more than 200 events in Mong Kok during that period. “At the time, I had a strong feeling that [the Umbrella Movement] was a historical turning point for Hong Kong,” she said. Fast forward to a year and a half later, and Lau was struggling at the polls. 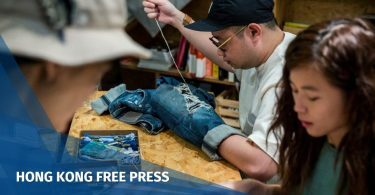 She had decided to run for the first Legislative Council election to be held after the Umbrella Movement ended: she had generated a store of goodwill, and had recently earned some credit for standing up for street hawkers. 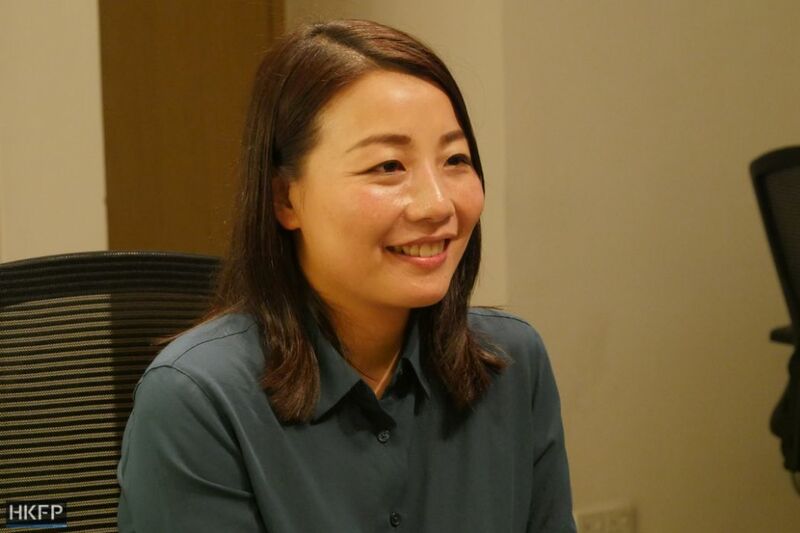 To the surprise of everyone – including Lau herself – she won a seat in the Kowloon West constituency with 38,183 votes, almost 14 per cent of all votes. Wong lost, and was beaten by Lau at every polling station. She even topped veterans like Claudia Mo and Helena Wong Pik-wan, which established her credentials within pan-democrat circles. What happened next was, depending on who you asked, either an unforced error by Lau or a sneak attack by the Hong Kong government. During the swearing-in ceremony for new lawmakers, Lau read her own version of the oath on the first attempt. When the LegCo secretary-general asked her to try again, Lau read the correct oath, albeit in slow motion. The reading took around ten minutes. Afterwards, Lau explained that the stunt was to “show the hypocrisy of the ceremony.” Little did she know that her protest – not dissimilar to what other pro-democracy lawmakers were used to doing – would be caught up in the Hong Kong government’s newfound zeal for getting the courts to disqualify lawmakers. The High Court, citing a controversial interpretation by China’s top lawmaking body, disqualified Lau along with three other pro-democracy lawmakers last July, saying that she failed to commit to the oath because of her slow manner of delivery. So did she regret the stunt? “If you ask whether I have regrets, then I regret not knowing the Chinese Communist Party well enough,” Lau said. In past interviews she would sometimes react to this question with defensiveness, but by now it had become scar tissue. She appealed the court’s decision to disqualify her, but gave up because the court date was too far in the future, and the case had grown too expensive and stressful, she said. Instead, she would rather reclaim her seat the other way – by running for it again. The by-election for Lau’s seat was set for November 25, 2018. Just two years had passed since her initial victory, but it was time enough for the political winds to shift. After “oath-gate,” the pro-democracy camp lost its numerical advantage and hence its veto power. It would remain powerless to form certain committees or to block bills, especially a further amendment to the Rules of Procedure, unless Lau retook her seat. Lau had been tight-lipped about the specifics of her latest strategy, but there seemed to be a conscious effort to moderate her stance, as opposed to doubling down on her self-determination advocate roots. In June, she surprised observers by joining the Labour Party, a mainstay of the pan-democrat faction. The Labour Party after the 2016 Legislative Council elections, where two of their heavyweights lost. Photo: inmediahk.net. In contrast, Lau in 2016 used to wear a badge on her lapel with the Chinese character for “decide” – a shorthand for self-determination. Her signature initiative, Democracy Groundwork, was partly conceived as a response to the inadequacies of existing political parties. Another clear reason to join the Labour Party was to hedge against candidate screening mechanisms that, since 2016, had become the norm. In January, Demosisto’s Agnes Chow was barred from entering a Legislative Council by-election for advocating self-determination – a view Lau also held, at least in name. It had since been agreed that Labour Party co-founder Lee Cheuk-yan would be her backup. But for now, Lau was eager to play down the odds of disqualification. Lee Cheuk-yan. Photo: Tom Grundy/HKFP. Once Lau was done fighting the system, she would still have to fight her actual opponents. And compared to 2016, this time the pro-establishment camp was much less likely to be caught off guard by the Umbrella Movement shock troops. Edward Yiu, another lawmaker who was ousted in the oath-taking saga, failed to reclaim his seat in March despite having public sympathy on his side. 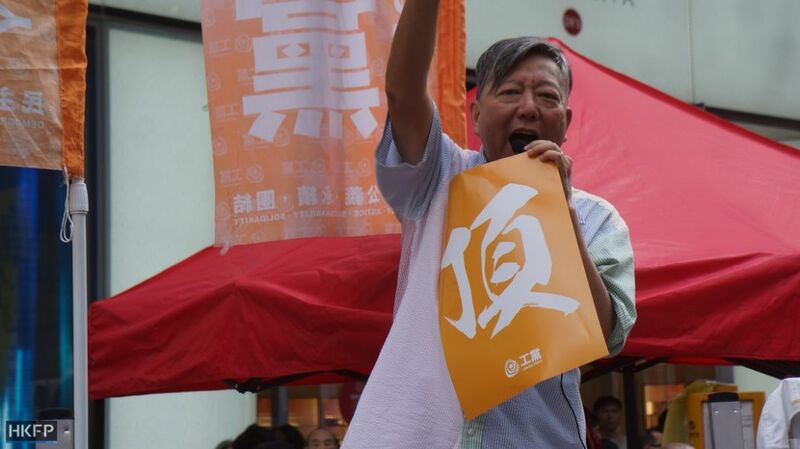 Critics have pointed to Yiu’s missteps, but some also credited the shrewd electioneering of DAB newcomer Vincent Cheng. When asked about Yiu’s defeat, Lau said he was not entirely to blame. 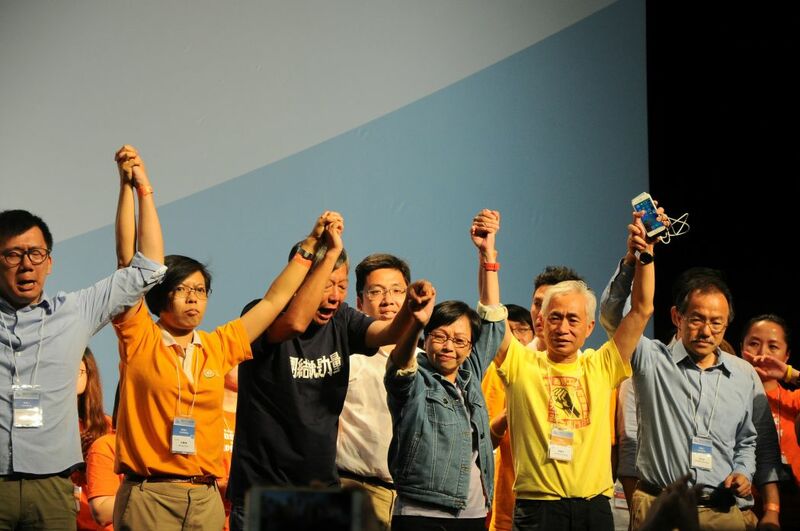 “The Kowloon West geographical constituency is a big challenge. There is strong support for pro-establishment candidates. If you count Priscilla Leung, Ann Chiang and Tik Chi-yuen, they have 120,000 votes [combined]… They have a lot of diehard voters and resources that are unimaginable for us,” she said. The pro-establishment camp appeared to be fielding a similar strategy against Lau. While no formal candidate had been declared yet, the implicit nominee was Rebecca Chan Hoi-yan, who styled herself as a “health ambassador” with a focus on livelihood issues. In August, a poster of Chan was displayed on a 25-metre-tall billboard in Hung Hom, which was estimated to cost HK$300,000 per month. “Can our face-to-face [campaign] efforts counter an advertising wall costing HK$300,000 or 400,000? I can’t say I am absolutely confident, I can only say we will do our best,” Lau said. 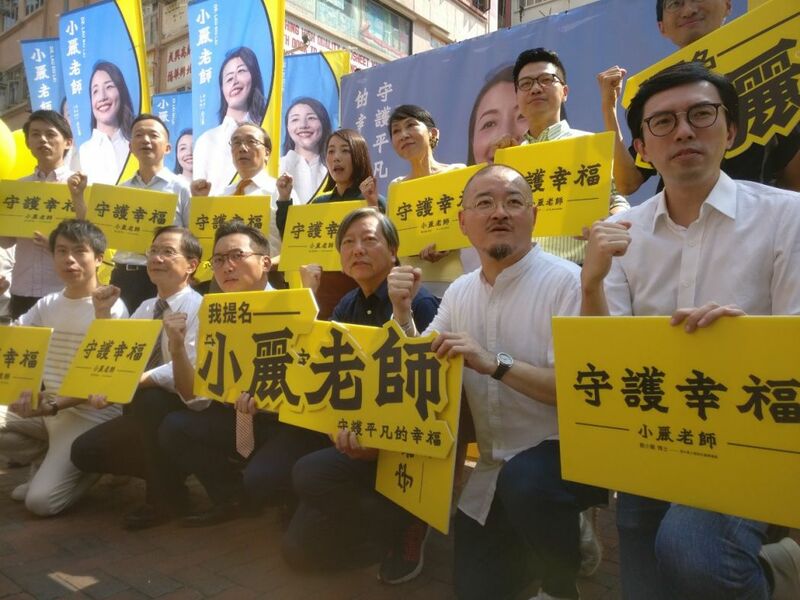 On a sweltering September day, Lau went to Sham Shui Po to declare her candidacy, amidst busy street stalls and hurried pedestrians. The official nomination period for the by-election starts on October 2 and she was trying to gather signatures. For the moment, Lau seemed to have successfully united the pan-democrats and the localists, with most major pro-democracy parties coming to declare their support. At her event, she got giant yellow balloons that she said symbolised her aspirations; Roy Kwong from the Democratic Party accidentally punctured one, but the mood remained optimistic. “Safeguard the ordinary” was the campaign’s new slogan. 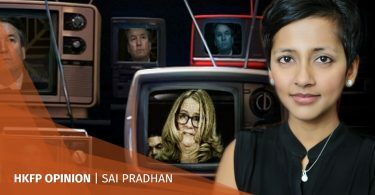 It was not immediately clear what “ordinary” referred to – which, at a time when election hopefuls could be disqualified based on their speech, might well be intentional. The line was a far cry from Lau’s 2016 slogan: “Fighting for the dignity and welfare of Hong Kong people.” So was Lau still the populist teacher from the Umbrella Movement, or had she moved onto something new? Would she still hold onto her belief in democratic self-determination? Lau said her starting point had always been community self-empowerment. The MTR’s Shatin-to-Central Link was a good example, she said: even the people who didn’t care about politics would fear sinking buildings, and then she could explain that the buildings sank not just because of construction flaws, but accountability problems of those in power. “In an era when standards are crumbling, I want to be the person who tightens each screw so that the machine can function properly. Of course, other people have important roles too, such as writing and theorising about One Country Two Systems,” Lau said. Additional reporting: Kris Cheng, Jennifer Creery. Interview: Can ousted lawmaker Lau Siu-lai win back her seat in a time of 'absurd' politics?